If Chelsea are to keep their thin hopes of Champions League qualification alive, they’ll need to overcome the most potent side in Europe this season when Liverpool travel to Stamford Bridge on Sunday. 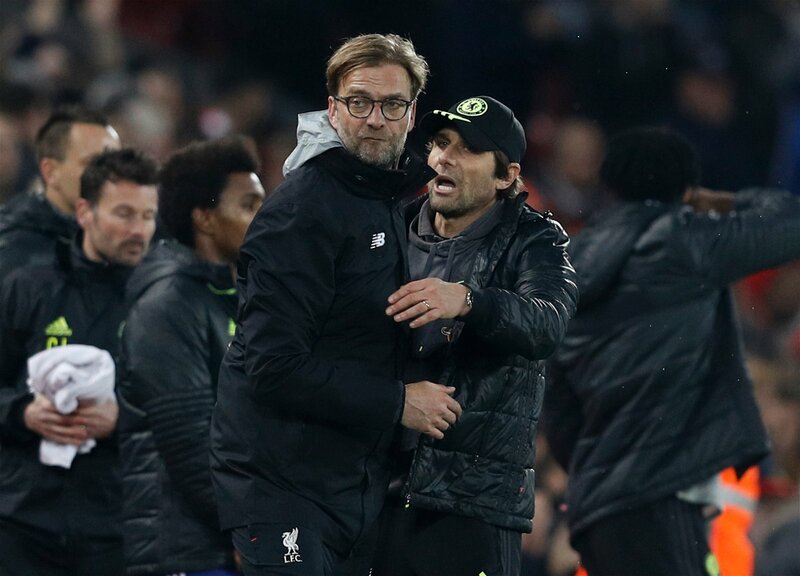 Fortunately though, there’s a clear game-plan for Antonio Conte to follow in a bid to foil Jurgen Klopp’s relentless attacking outfit, provided by predecessor Jose Mourinho when he pulled off one of the Premier League’s greatest spoiling performances on Merseyside to essentially kill Liverpool’s chances of lifting the 2013/14 title. 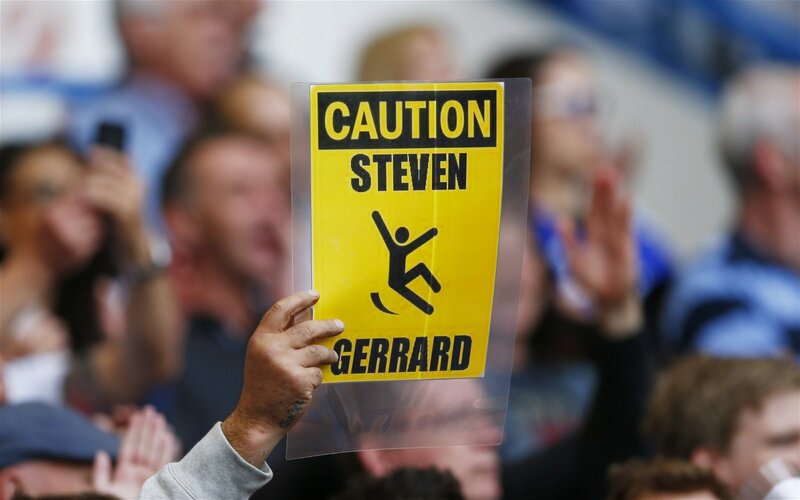 That match is infamously remembered for Steven Gerrard’s slip, a moment of incredible misfortune that ensured the Liverpool legend would miss out on the only club trophy that evaded him throughout a glorious Anfield career. But Mourinho deserves crucial credit too, because he created the circumstances for that unforgettable error; time-wasting from the opening whistle, fielding a weakened team in preparation for a Champions League semi-final with Atletico Madrid and putting all eleven men behind the ball for practically the entire match, the then-Chelsea gaffer transformed Liverpool’s own home into a cauldron of uneasy expectation as they chased down the Premier League crown. In many ways, Mourinho turned what is often seen as one of the Reds’ greatest strengths – the exceptionally militant backing of the Anfield faithful – into their most inherent weakness. He funnelled that nervous energy on the terraces to further ramp up the pressure, creating an atmosphere in which one huge mistake became almost inevitable. He couldn’t have predicted the poetic irony though, of the error being committed by the most iconic member of that Liverpool team, the man who declared ‘don’t let this slip’ after they beat title rivals Manchester City in a 3-2 thriller during their previous Anfield outing a fortnight prior. The dynamics of the match on Sunday will be markedly different. For starters, Chelsea are the home side needing the win – Liverpool will guarantee their place in the top four with just a draw, knowing their vastly superior goal difference will be enough even if both sides end the Premier League season on level points. In another quirky reversal of fortunes, whereas Chelsea were preparing for a Champions League semi-final in April 2014, Klopp could decide to rest key players on Sunday with their final showdown against Real Madrid in mind. 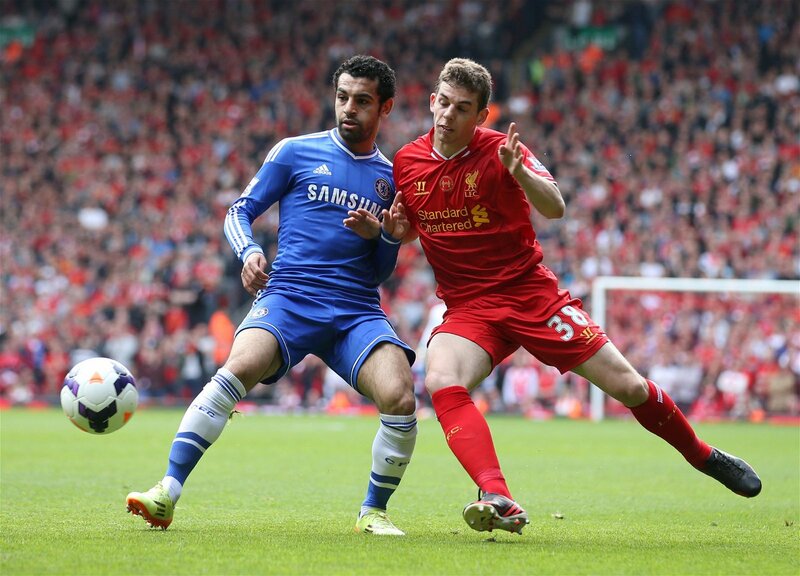 Likewise, it’s often forgotten that a young Mohamed Salah was part of the Chelsea team that pulled off that pragmatic away performance at Anfield; nowadays, the Egyptian international is at the peak of his powers and, provided he starts, will be desperate to punish the club that once deemed him little more than a financial asset. But there’s more than one way to skin a cat, and Chelsea only need one goal to win this game. Furthermore, perhaps more important than the differences are the surprising similarities. The most significant of those is that, much like Brendan Rodgers’ side, Klopp’s Liverpool only really know how to play in one way – full throttle. Playing for draws or clean sheets just isn’t part of their DNA, and even if the Reds gaffer rests his key components this weekend, Liverpool will still try to hit Chelsea hard and fast in search of a statement-setting, confidence-building win against their divisional rivals. That’s precisely where this Liverpool team could suffer their own metaphorical slip. There’s something inherently weird about Liverpool, but most particularly under Klopp. Liverpool have always been an intrinsically emotive club, and Klopp has often branded his own philosophy as ’emotional football’. During their many 20-minute onslaughts this season, that emotion has made Liverpool appear momentarily invincible, playing with a speed and relentlessness that can only really be rivalled by Manchester City in the Premier League. But that incredible emotion always leaves Liverpool on a knife-edge and just as one moment of attacking brilliance can trigger their incredible bursts of potency, one moment of uncertainty can have the exact opposite effect – the emotion becomes as powerful negatively as it often serves this Liverpool team positively, something their recent Champions League skirmishes have really highlighted. 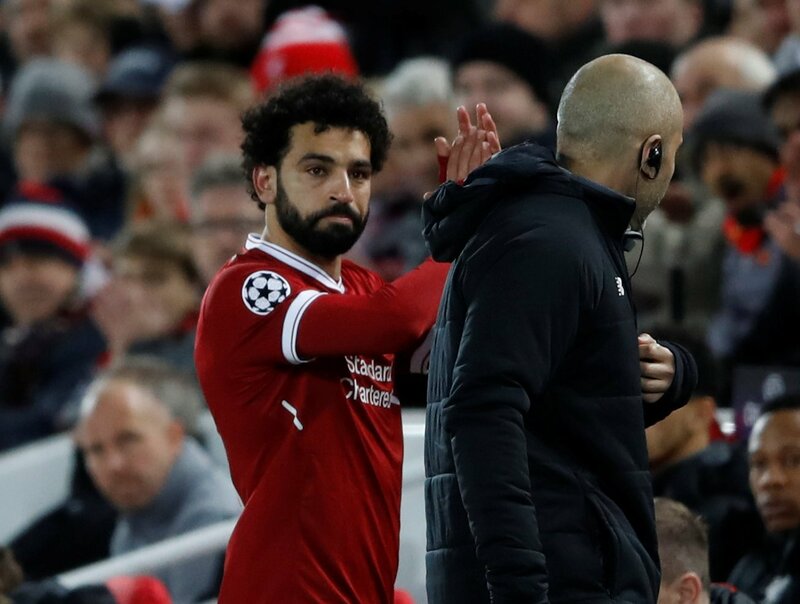 Even after the Reds went 3-0 up against City in the first leg of their quarter-final at Anfield, Salah’s precautionary withdrawal after picking up a knock completely changed the mood of the stadium. Sure, Salah is Liverpool’s biggest talent, but for one small moment – that eventually proved completely inconsequential – to create such widespread doubt despite the Reds boasting a three goal cushion is nothing short of bizarre. It highlights the inevitable vulnerability of emotion being such a core principle of a team, and the same happened again when Roma scored twice at Anfield in the semi-final. Liverpool were still three goals up, but the atmosphere on Merseyside once again soured in an instant. A ground that was filled with encouraging roars and bellowed anthems for 81 minutes suddenly went deathly quiet. That’s something Chelsea can still tap into; the manner in which Liverpool’s emotive belief in their own destiny suddenly translates into almost paralysing fear. Perhaps Sunday’s meeting won’t grip players and fans in the same way as European knockouts, but the fact Liverpool still need to qualify for the Champions League and carry momentum into their Kiev final with reigning champions Real Madrid should be enough to stir that seemingly unshakeable rollercoaster of emotion. Just as Mourinho used it in 2014 at Anfield, Conte can exploit it this weekend. The other similarity too, is that there’s still one clear way of stopping Liverpool, whether it’s Rodgers or Klopp’s Reds we’re talking about. Both have endured a recurring weakness of coming unstuck against well-organised, physical and direct teams that keep men behind the ball. As Carlos Carvalhal quipped after Liverpool unexpectedly lost 1-0 to Swansea City in January, if you put a Formula 1 car in London traffic, it’s just like any other car. A great personal friend of Mourinho’s, you have to wonder how much of the game-plan that night at the Liberty Stadium was influenced by Chelsea’s win at Anfield four years ago, if not directly advised on by the current United boss himself. Conte has already shown this season that he’s not afraid of being that pragmatic at home, the 1-1 draw with Barcelona being the obvious example, and because it would be such a strange approach to take into a game Chelsea need to win, that might just catch Liverpool a little off-guard, luring them into something of a false sense of security. Mourinho’s side scored twice to end Liverpool’s title dreams in 2013/14, but Conte’s boys need just one on Sunday to seal all three points if they can keep them out at the other end. It may seem gigantic gamble to play ultra-defensively in such an important game from the Blues, but it may also be Conte’s best path to victory.